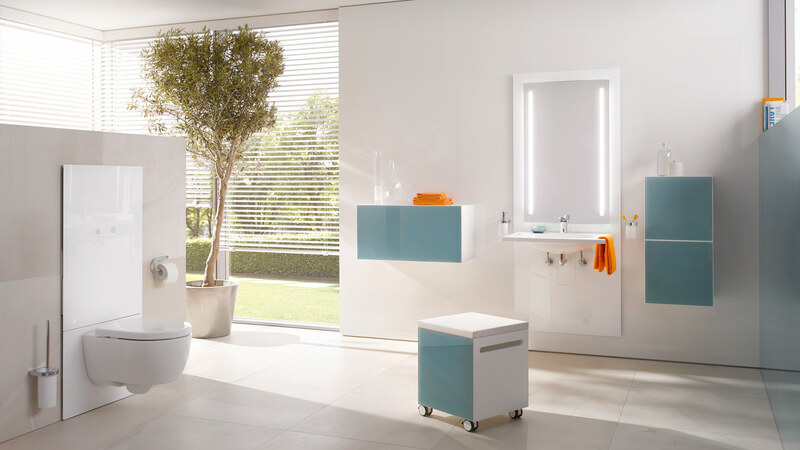 Modules with individually adjustable height offer particular comfort: The washbasin and WC can be set to the required height at the press of a button. The modules can be continuously adjusted using a radio remote control. 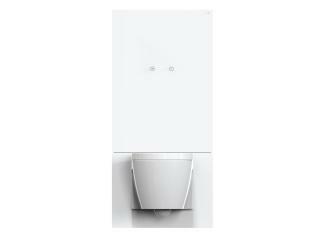 The modules are available with an optional white or grey Evonik Plexiglas front. The high-gloss, non-porous surface is particularly easy-care and easy to clean. 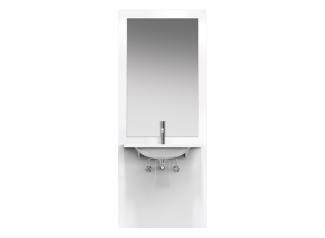 The S 50 washbasin module can be adjusted continuously by 30 cm with the help of a remote control. 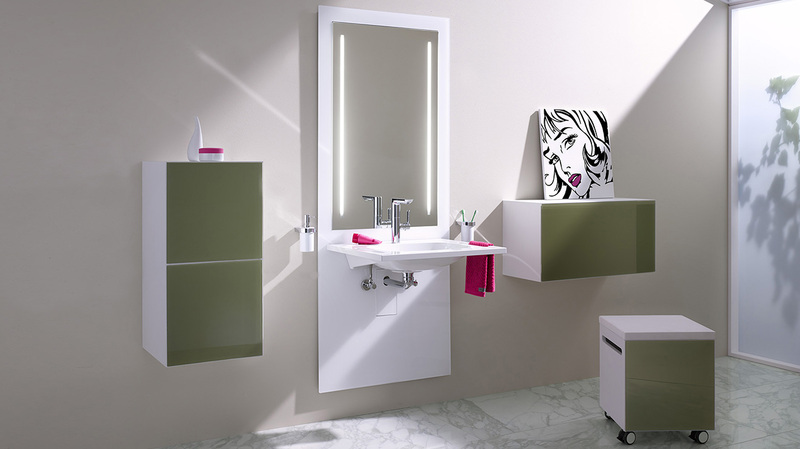 The complete module moves, so that the mirror does not become concealed by the washbasin. 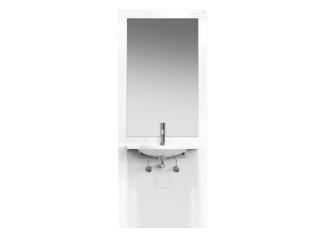 The integrated mirror is optionally available without illumination or with LED illumination. The height of the S 50 WC module can be adjusted by 15 cm in total. 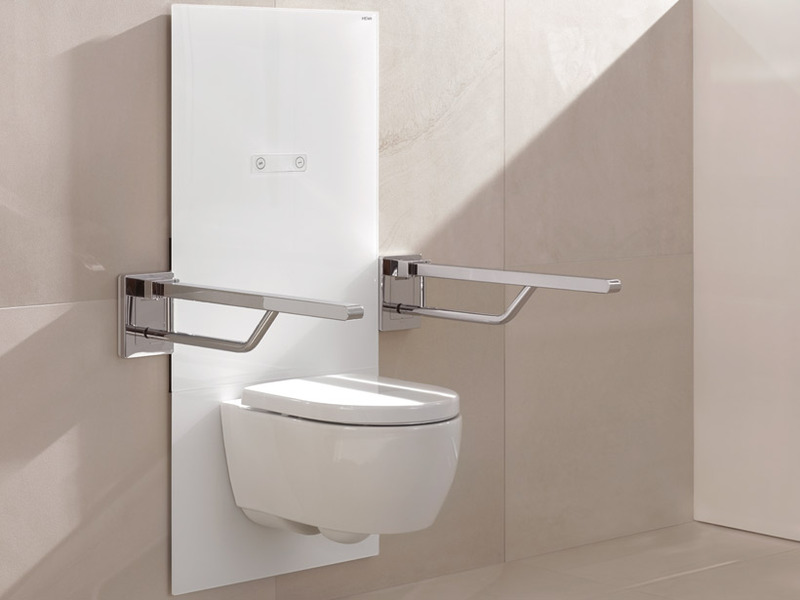 The WC module is suitable as a standing up aid. 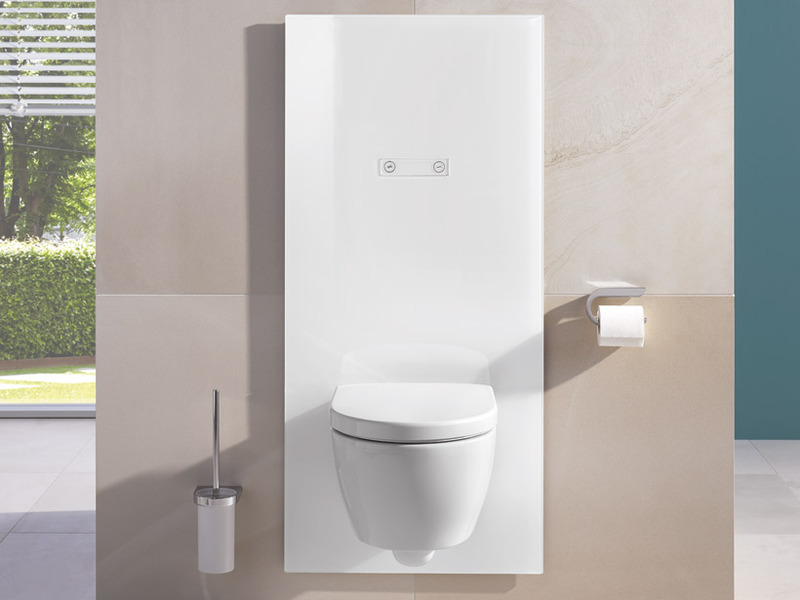 The flushing mechanism is optionally sensor controlled and can therefore be operated without contact, or it is available as a manual actuating plate. 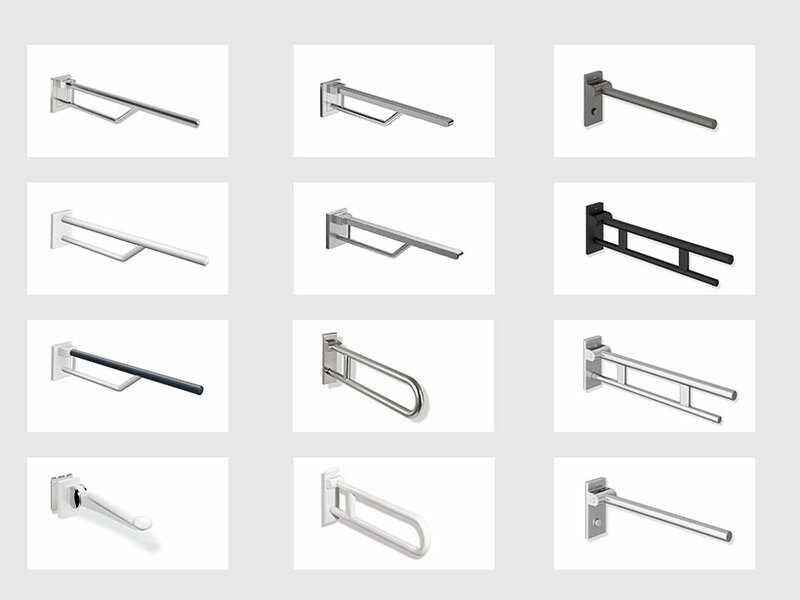 The WC module can be added to with hinged-support rails – optionally on the right or left of the WC or on both sides. Subsequent installation is possible. The hinged-support rails move with the WC. 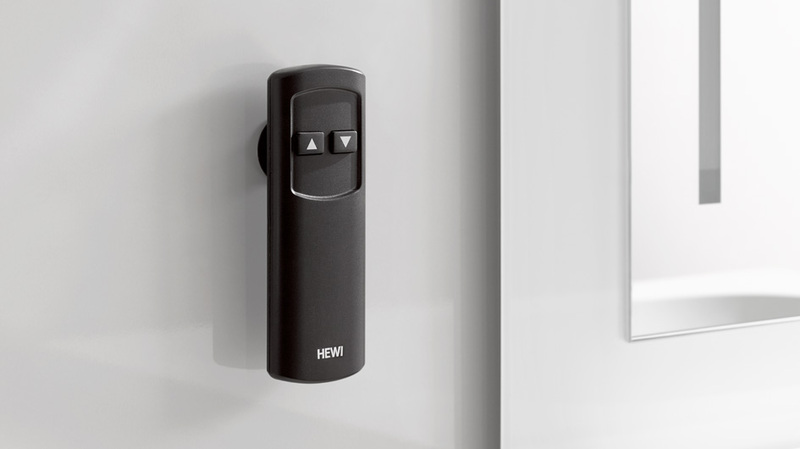 All HEWI hinged-support rails can be combined with the S 50 WC module. The module is made up of a prewall installation and a finishes set. During the building shell phase the prewall installation is fixed by floor-wall installation. 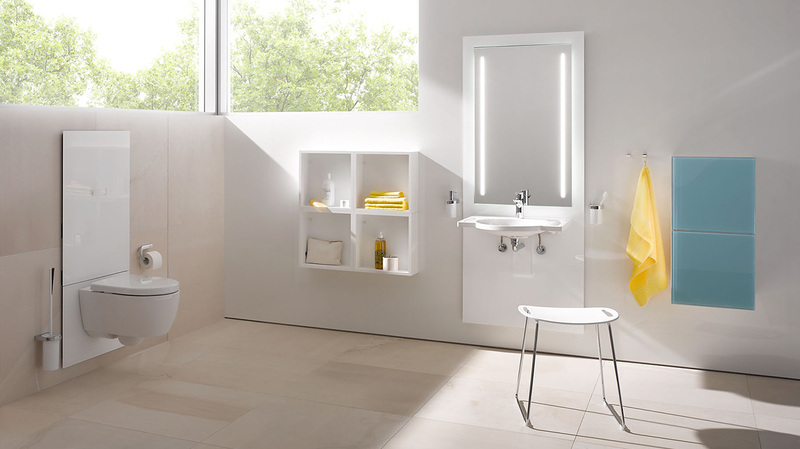 The adjustable feed of the prewall element can be unscrewed by 150 mm during installation, so that the initial height of the washbasin and WC can be changed individually. 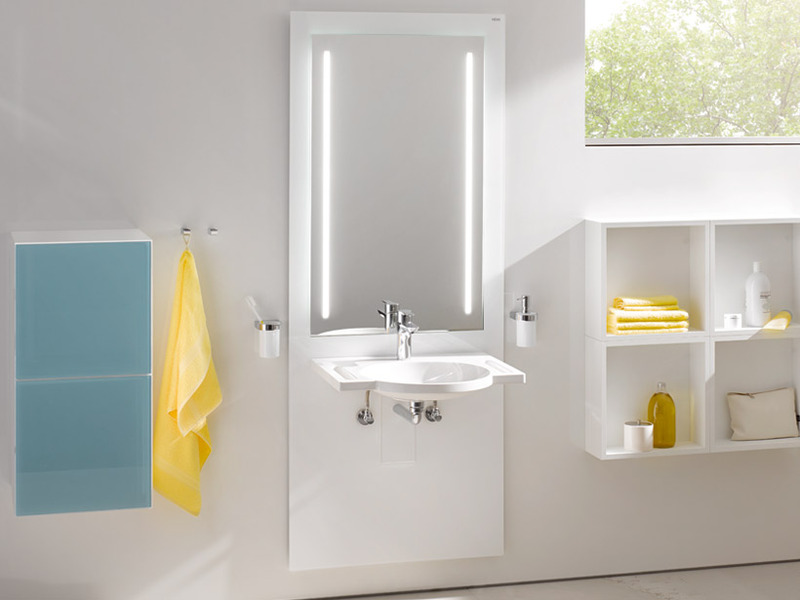 The finishes set, which is made up of the respective functional elements and the final acryllic glass fronts, is then installed.